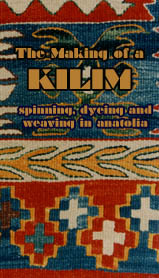 Kilims have been woven in Turkey for thousands of year. In the villages of Anatolia the tradition survives. 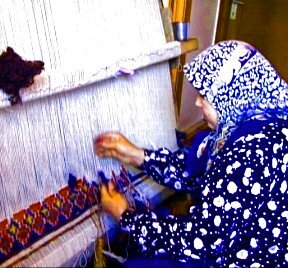 Kilims are woven with traditional motifs and patterns by women using handspun local wool, natural dyes and ancient skills and designs. Filmed in Anatolia, Turkey. Contents: the wool market, spinning, natural dyes, weaving, designs and finishing.